You don’t hear many sales pitches like this anymore because most businesses have retooled their approach to include strategies such as inbound marketing. Rather than making the approach about their product or service, companies are beginning to realize that buyers want to be in charge of the buying experience. Inbound marketing allows the buyer to educate themselves and digest information before stepping up to the plate to try a product or subscribe to a service. An inbound marketing approach doesn’t mean that a business isn’t in control of the process behind the scenes, however. They achieve this by crafting messaging for the customer — and they customize that messaging by creating buyer personas using demographics and psychographics. Let’s back up a bit. For those who are unfamiliar with buyer personas, this is the place to start when crafting your marketing strategy. A buyer persona is a modeled representation of your ideal customer. These aren’t models that you pull out of thin air; buyer personas are created through careful market research and compiling data about your actual customers. By looking at who is currently interested in your products or services, you can better understand who to target as you move forward. Why do buyer personas matter? The proof is in the numbers. When it comes to B2B marketing, buyer personas are king. According to a DemandGen report, Thomson Reuters saw a 175 percent increase in revenue attributed to marketing after focusing on aligning their sales and marketing teams to generate buyer persona data. In an ITSMA poll, 48% of customers revealed that they were more likely to consider solution providers that personalize their marketing to address their specific business needs. The same poll found that, surprisingly, only 44 percent of B2B marketers bother to utilize buyer personas in their marketing strategies. How Are Buyer Personas Created? To figure out what buyer personas need to be targeted in your company’s upcoming marketing campaigns, you’ll need to look at your current customers’ demographics, as well as their psychographics. 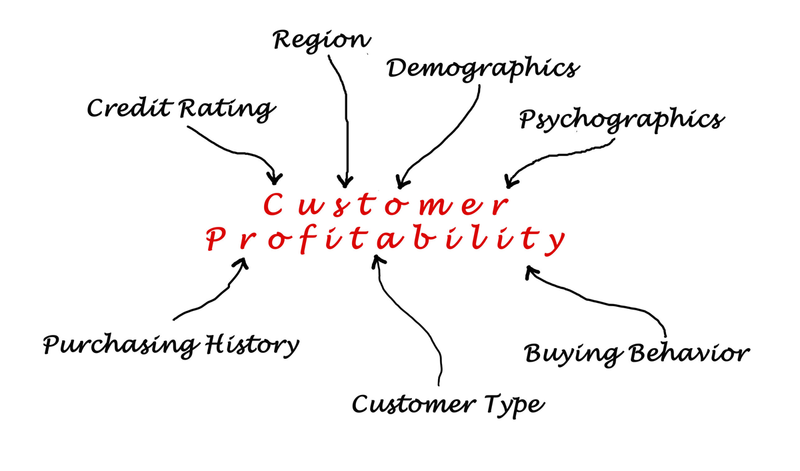 Customer demographics start at the very highest levels of knowing who your customer base is. For B2C companies, demographics include data such as your target customer’s age, gender, and marital status, as well as their household income. B2B demographics are more complex and will include factors such as company size and volume purchased, as well as the job function of the key decision-maker. For B2B companies, the considerations are similar, just with different issues: what are the pain points your company can address for this customer? What may their frustrations be with the current vendors they’re using? Demographics and psychographics can be compiled by interviewing your current clients, as well as taking a look at your website analytics to determine who’s visiting, signing up, and buying. Once you paint a picture of one or more of your ideal buyer personas, you’ll be ready to craft and segment your marketing content accordingly. B2B target audiences are typically smaller than average consumer target audiences, so it’s important to segment and target them precisely. Now more than ever, it’s time to stop focusing on what you’re selling and start focusing on who you’re selling to. Buyer personas, demographics, and psychographics can help you do exactly that. you're ready to plan for the Buyer's Journey. Learn more in this blog post!